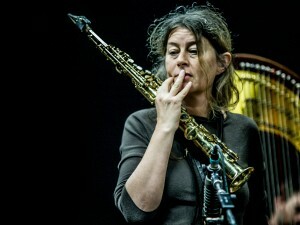 Saxophonist, composer, improviser, and a seemingly tireless collaborator, Lotte Anker is co-leader of the Copenhagen Art Ensemble, has a longstanding trio with Gerald Cleaver and Craig Taborn, and has played with the likes of Marilyn Mazur, Sylvie Courvoisier, Ikue Mori and Fred Frith (and many others) in various formats. 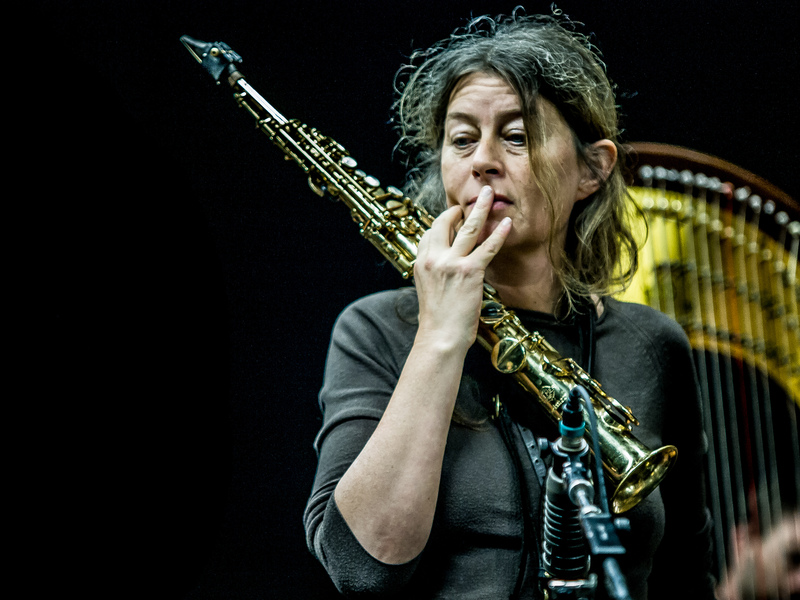 Last year, Danish label ILK Music released Anker’s “What River Is This”, an album-length piece that alternates between composition and collective improvisation, originally commissioned for the Huddersfield Contemporary Music Festival in 2010. I grew up in a house with a lot of (mostly classical) music and I played classical piano and sang a lot throughout my childhood and youth – but was not sure I wanted to be a musician. I couldn’t really see myself going the classic way and even though I was listening to both modern/free jazz and rock and felt very attracted to especially improvisation, there were no teachers or scene for that, where I lived. After secondary school, I moved to Copenhagen and started studying literature at the University. Moving to Copenhagen also meant moving to a place where there was an active and creative scene for (all kinds of) jazz and of course many concerts to go to. So I kept playing besides the studies and found some teachers who could introduce me to improvisation, jazz, harmonization, and so on. I also bought a flute and later a soprano saxophone. And gradually I spent more and more time with the music and less time with the books. At that camp, many doors opened up both to improvisation and also the joy of making music together with others – and that we could do our own music. It was an extremely strong experience for me and a deep feeling of: ‘this is what I want to do in life’. And so I switched to the music department at the university, and spent all my time rehearsing, playing in numerous groups, and composing also. I don’t feel guilty with any listening pleasures. I listen to a lot of different music: everything within the enormous spectrum of Western classical and new music, jazz/free jazz and improvisation.Also non-Western music: especially African, Middle-East, Indian and Asian, electronic music, and so on. I also listen to some popular music, but it’s not so often I actually invest in popular music – although it happens. I (still) love to dance and certain music, which I don’t need to own – or listen to very deeply – is just great for dancing. The starting point is often like this: I have some kind of vision/imagination/idea of things I want to explore. It can be sonic material and textures, a more conceptual idea, a piece of text, a philosophical idea – often based on thoughts or sounds that keep coming back. Sometimes I have a (more or less) vague vision of the form or framework for a whole piece. So I write down a lot of ideas and sketches, and if it’s a longer piece and a piece for a larger group, I also make a draft for the form. This part can take a long time – but not always. Then the work starts with the actual material – the notes, sounds, rhythm, development, etc. And all the decisions you need to take. This part of the process – the working with the material – nearly always opens up to a lot of new ideas and perceptions, and the first draft of the form might be changed entirely. This process might be very similar to being a sculptor or architect, but with the big difference that as a composer you work with time and flow in space. And of course with human beings behind the sounds, if you are writing for live performing instruments with humans behind them – which I mostly am. 4. What’s the balance of preparation vs. improvisation for the average live set or recording? I play in many smaller groups and collaborations where the music is completely free improvised, which means no (or very little) predetermined agreements or concepts. Still the attitude you bring into a free improvised playing situation, is some kind of preparation. A lifelong practice in attentiveness, openness, timing, presence – and of course the ongoing development of your musical language, techniques and aesthetics. For live sets or recording with bigger groups (typically 5+) I might bring more predefined material. That can vary from a nearly through composed score to more open instructions, a suggested formal frame, sonic ideas, graphical notation, etc. The degree of predetermination depends on the group/muscians – and the occasion. 5. Your work has attracted various ‘labels’, including jazz, free improvisation, contemporary, experimental, etc. How would you describe your music, and why? ‘free’ expression can stiffen into clichés and habits: becoming a style. And I see that happening today to a certain degree. Well… that whole landscape is pretty blurred at the moment. I have definitely also felt the decline in earnings from record sales, composers’ royalties, and so on – but at the same time new possibilities are showing up – new ways to share, publish and promote which are also very useful in relation to keeping independence in the music. Of course there are (very) threatening dark clouds from the big companies and corporate thinking among politicians and governments. I guess our task will be to constantly find the cracks and new platforms – and form communities with like-minded people. I actually have a very nice project coming up here in October, which feels like a great gift. 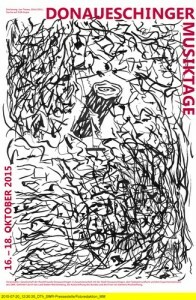 It is an invitation from Donaueschinger Musiktage – the new music festival in Germany. I am invited to do the so-called NOWJazz Session evening – and it includes being able to invite musicians for these two sets and having rehearsal opportunities in the SWR-studios. It is true luxury, and I am looking very much forward to working on that project. It’s called Habitat 1 & 2. Habitat 1 is an acoustic trio with Sofia Jernberg and Sten Sandell and myself. Habitat 2 is an electro-acoustic sextet also with Jernberg and Sandell plus Thomas Lehn, Ikue Mori, Michael Vorfeld and myself. 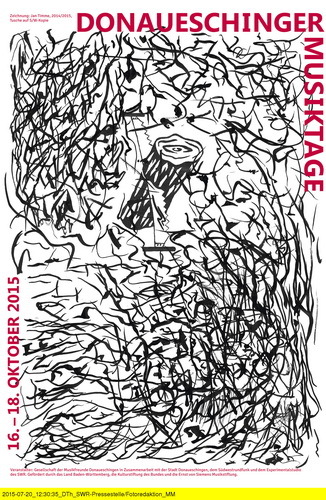 Habitat 1 & 2 will play at the Donaueschinger Musiktage on Saturday 17th October, 2015. “What River Is This” is available from ILK Music.